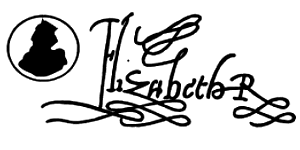 King Charles II was the son of King Charles I and his wife Henrietta Maria. 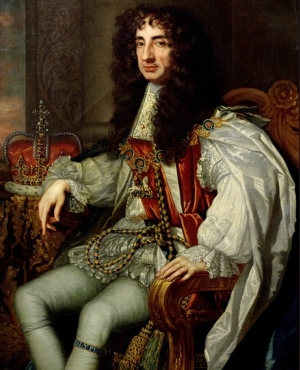 He became King at the Restoration of the monarchy in 1660, following the English Civil War which had left England without a monarch for over a decade. In 1662 he married Portuguese Catherine of Braganza, but unlike his father who was a devoted husband and father, Charles II is most famous for keeping many mistresses. 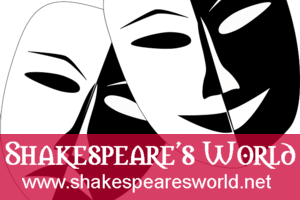 It's believed he had at least thirteen mistresses, including Lucy Walters, Barbara Villiers, and actress Nell Gwynne. While his wife had no children, Charles had at least fourteen illegitimate children by his mistresses. His acknowledged eldest son (by Lucy Walters) was James, Duke of Monmouth (1649-1685). Diana, Princess of Wales (1961-1997), first wife of Charles, Prince of Wales, was a descendant of Charles II, thus so are the present heirs to the throne, Prince William and his children. 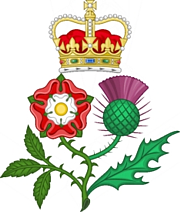 As a monarch Charles was far more successful than his father, but the Civil War had left its legacy, and Charles did not have as much power as his father, grandfather and Tudor predecessors had enjoyed. The ascendancy of Parliament had begun and during his reign party-politics began to emerge. The reign of Charles II is also famous for The Great Plague of London (1665) and The Great Fire of London (1666). One of England's most famous diarists, Samuel Pepys (1633-1703), also lived in the reign of Charles II and his multi-volume diary is an important historical work regarding life in Restoration England. 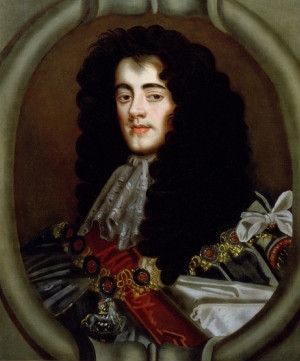 King Charles died of illness on the 6 February 1685, and as he left no legitimate child, he was succeeded to the throne by his younger brother, James, who became King James II. His eldest son, the Duke of Monmouth, declared himself King several months after his father's death, and attempted to gain the throne by force, but was executed for treason on 15 July 1685.